The recent kerfuffle at the Central Bank appeared to be a serious tug-of-war between, at least, the Prime Minister and the President of the Maithripala/Ranil (MR2) government in the matter of what an appropriate response should be to the affaire Mahendran and what flowed from it. Most readers should be old enough to remember the Thatcher years when similar terminology was employed to make the rich richer and the poor poorer. What is obscene about the Sri Lankan political scene is the fact that the common ground for all the major political entities appears to be their simple acceptance of neo-conservative political and economic thinking. Apart from any “pinko” considerations of social justice, it is this road that has led to the turmoil in international financial markets and the chaos that is flowing from all kinds of secessionist impulses. Brexit was the tip of that iceberg in case you didn’t notice. The new head honcho of our most important financial institution was quoted in banner headlines saying clearly and without equivocation that politics and economics were like oil and water. They shouldn’t and couldn’t be mixed. Would somebody please tell me how the political process and economic policy can be separated while still trying to maintain even the façade of a democratic system of government whose very foundation is built on the belief that the citizenry, not some ivory-tower theoreticians, will ultimately decide whether they have food to put on the table for themselves and their dependants? That is what all of this high-falutin’ language really adds up to. The end result is, simply, an elite maintaining themselves “in the manner to which they have grown accustomed” while the rest of society sups at the nearest garbage dump in order to survive. Dramatic? Perhaps, but let’s stop beating about the bush, take off the blinkers that “those who know better“ want us to wear and face up to the harsh realities that are going to be the end result of all this economic jargon and double-speak. Reading D.B.S.Jeyaraj’s recent blow-by-blow description of the Central Bank Governor’s Stakes brought to mind the machinations that followed D. S. Senanayake’s premature death. 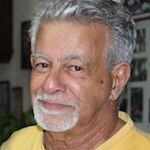 It was one of Sri Lanka’s (Ceylon at the time) less well-kept secrets that the second most senior member of the D. S. Senanayake government, Sir John Kotelawala, had, with the connivance of Governor General Lord Soubury, been “jobbed.” In a tizzy, he penned, anonymously, a pamphlet called The Prime Minister’s Stakes. It was considered “scurrilous” in a time when Victorian norms of behaviour prevailed in Ceylon and, probably for that very reason, was much sought after! One common thread that is discernible between Jeyaraj’s narrative and the document that followed Dudley Senanayake’s appointment to the position that his father had left prematurely, is that virtually every one of those involved in the brouhaha came from very privileged backgrounds. 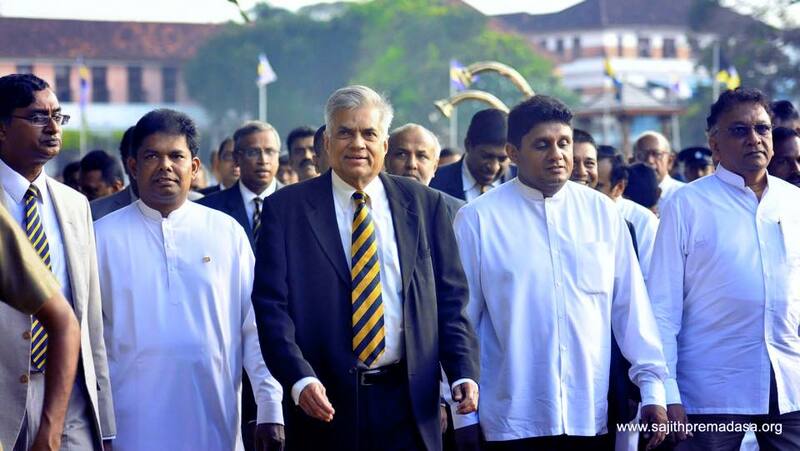 The current mini-crisis probably overtook its predecessor by describing a degree of incestuousness in that pretty well all the players have a very narrow commonality: they were, seemingly without exception, old boys of Royal College and, often, contemporaries of Ranil Wickremesinghe. Finally, even though Indrajit Coomaraswamy was Maithripala Sirisena’s and certainly not Ranil Wickremesinghe’s, first choice, everyone concerned decided to bury the hatchet and rally round the old school flag because, God forbid, someone from one of the other so-called Public Schools might be anointed or even, horror of horrors, an old boy of some “lot pot, not got” central school! In the meantime, Mr. Mahendran was, as they used to say, sold down the river (or is the expression “sent up s…t creek without a paddle?”) because he had become expendable. The fact that Mr. Coomaraswamy shared with Winston Churchill the privilege of being an old boy of what is considered to be one of the two most prestigious public schools in England – Harrow – didn’t, I’m sure, hurt his chances in a country supposedly wedded to a culture of “2500 years of Sinhala Buddhist Culture.” Apropos of Harrow, my next little bit of Googling, when I have the time to do so, would be to try to identify an alumnus of that school who was recognized as anything resembling even a “social reformer.” Wasting my time? Perhaps, but then I have always been considered a glutton for punishment of that kind! Even the Wimal Weerawansas and their guru, Mahinda Rajapaksa, have not raised their normally shrill voices in protest at this particular appointment. Is this yet another event that reinforces the Janatha Vimukthi Peramuna’s battle cry of “Unuth Ekai, munuth ekai?” (“Six of one and half a dozen of the other” as that mundane English equivalent has it) In any event, it certainly sounds like the United Front concept has been embraced by all the mainline political configurations in our fair isle to a far wider extent than we thought possible. I have the sneaking suspicion also that this could be the return of the Common Front concept of which those with an interest in political history are not likely to have fond memories, being associated very closely, as it was with the emergence of 20th Century Fascism. Why am I not surprised by the son of Esmond Wickremesinghe making common ground with the next generation of the only Sri Lankan to meet Leon Trotsky, no matter how fleetingly, and a head of state who participated in the first Che Guevara revolt in Sri Lanka in 1971 and those who claim to be of mainline liberal- or social-democratic persuasion? The reason for all of this is very simple: without exception it appears that all of our prominent politicians are simply self-seeking opportunists and it is not just the recently deposed who believe in that old American truism that goes, “we either hang together or hang separately.” Simple self-preservation with the added prospect of self-aggrandizement beyond our wildest imaginings! « What Options For Jaffna Economic Revival?